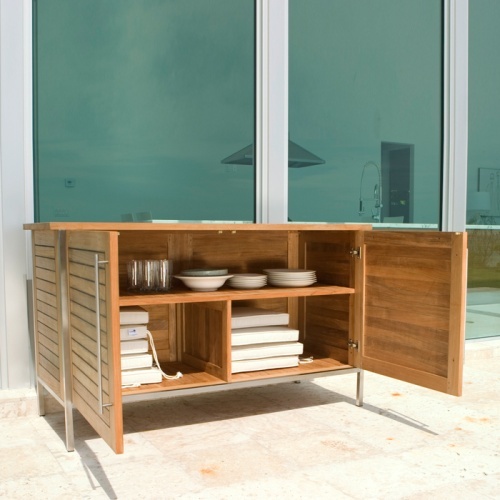 compound can be flush sanded with the other materials such as teak wood or other surfaces to give a beautiful and completely watertight and weather resistant surface. 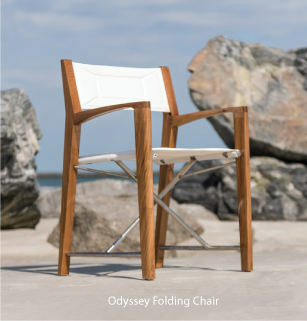 Westminster Furniture applies Sika’s products to select teak furniture products for enhanced use durable enough for the marine and boating industry. 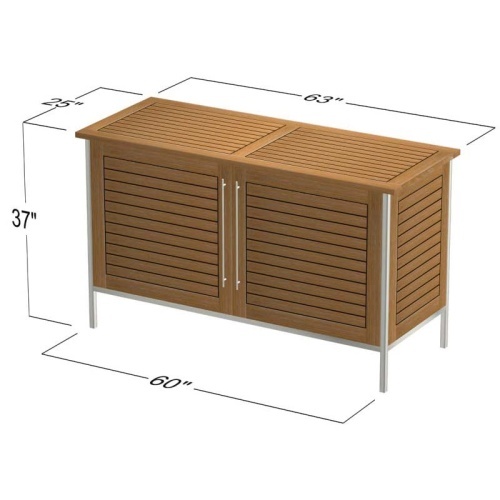 This keeps the top and side panels of the storage unit more weather and water-resistant. 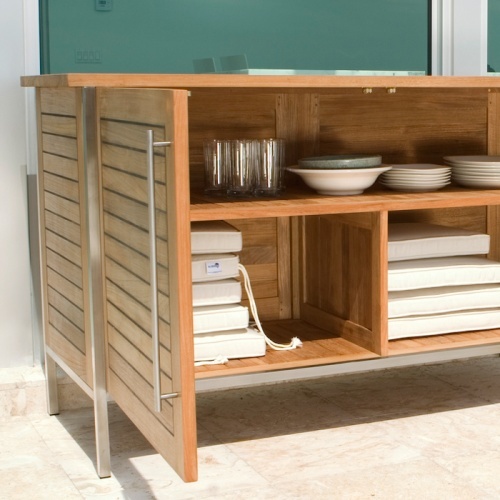 It provides an abundant space for your outdoor storage needs; from tableware and cushions to pool accessories and towels, keeping items dry and readily available. 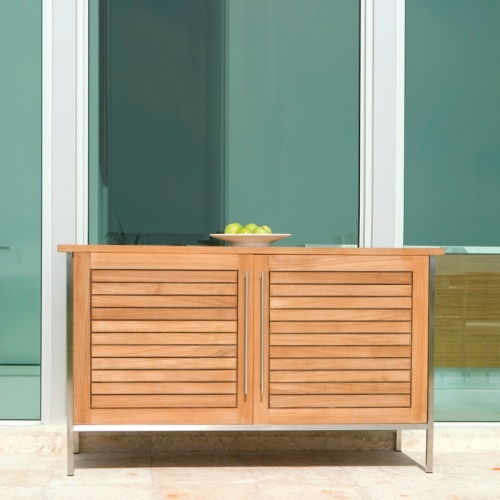 The brushed stainless steel door pulls and hinges complete the luxurious good looks of this beautiful teak sideboard which easily doubles as a serving station. 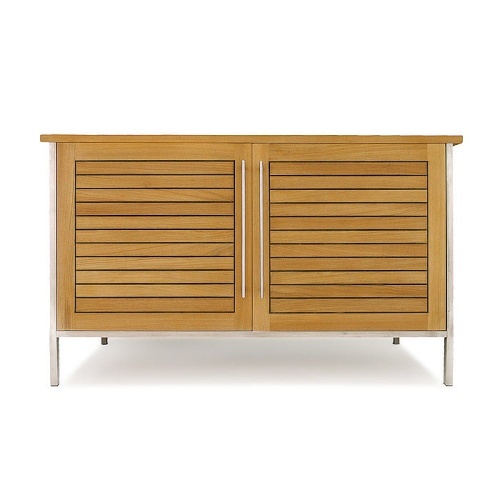 Made of premium grade A teak from eco-friendly renewable plantations and built to commercial specifications. 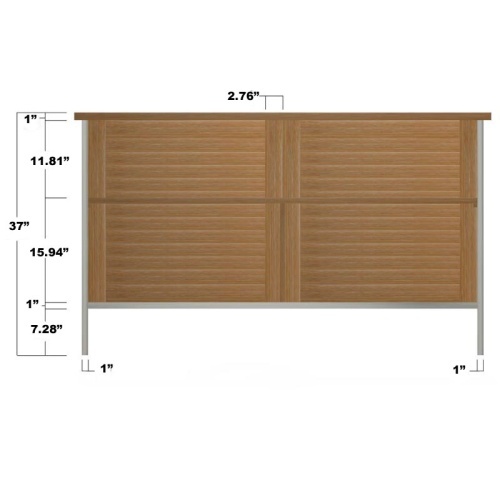 Plastic glides are utilized to ensure the sideboard can be used on any surface inside or outside. 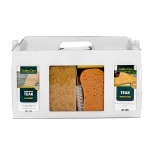 The time is now 07:49 PM EST!